Pinguy Os Developers announced a new tool to Remix Ubuntu, an alternative to Remastersys, a tool used to fork , remix, backup existing Ubuntu installations. I hope everyone loves this tool. Remastersys was very popular, and was used to clone and back up their Ubuntu installations, and mostly generate Custom ISO of Ubuntu. Remastersys Unfortunately, is not maintained, and wont work with recent Ubuntu Versions. Support for the Ubuntu 14.04 LTS (Trusty Tahr) and Ubuntu 15.04 (Vivid Vervet) operating systems. Full UEFI (Unified Extensible Firmware Interface) support. Support for an EFI partition on the generated ISO image. Support for the XZ compression method for smaller ISO images. capable of populating the pool folder with grub-efi, so you can install the OS without the need for an Internet connection, and to update the GRUB entry with the name that is used for labeling the CD image. 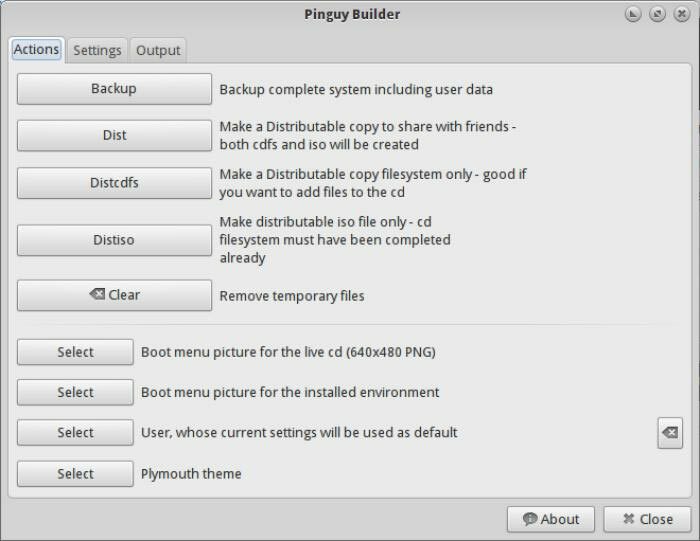 Pinguy Builder is available for download from the Pinguy OS website, distributed as DEB packages for Ubuntu and similar OSes.